As a fine gentlemen’s outfitter, we want to provide you with clothes of impeccable, luxurious quality. 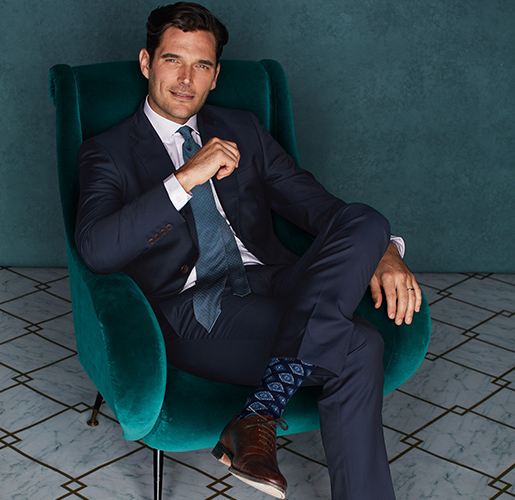 Charles Tyrwhitt Exclusive is the cream of the crop of our work: stunning silks, wools, cashmere, and cotton worked by some of the most skilled makers. In a nutshell, we’re offering you the best of menswear, elevated to the heights of luxury. 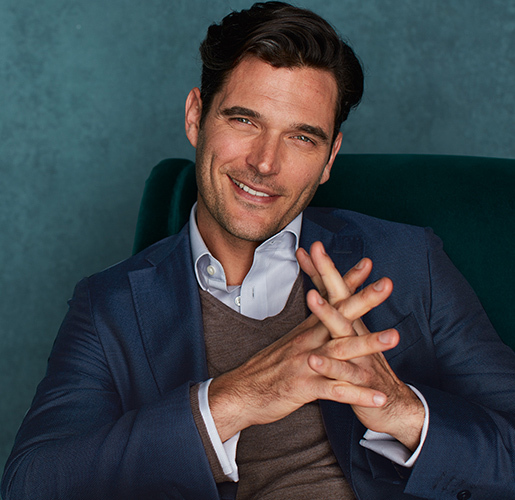 You won’t find better-feeling formalwear than a cashmere suit. For our most decadent jacket and trousers, we visited 350 year-old Italian mill Barberis, one of the most prestigious on the planet. They craft the wool and cashmere-blend fabric we use to make this astonishingly smart suit. In a single-breasted design, it’s tailored to a half-canvas construction for impeccable drape and fit. We make spectacular 100% cotton Twill non iron shirts that our customers don’t seem to get enough of. Now we decided to render them in the highest yarn count of our shirt range for the silkiest, softest hand feel and the smoothest finish. 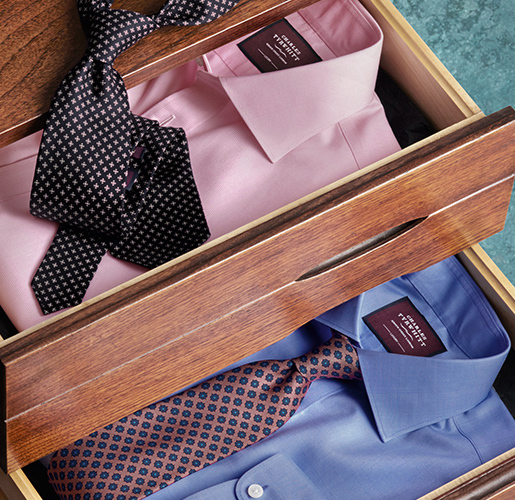 What could be better than a fancy shirt that doesn’t even need ironing? 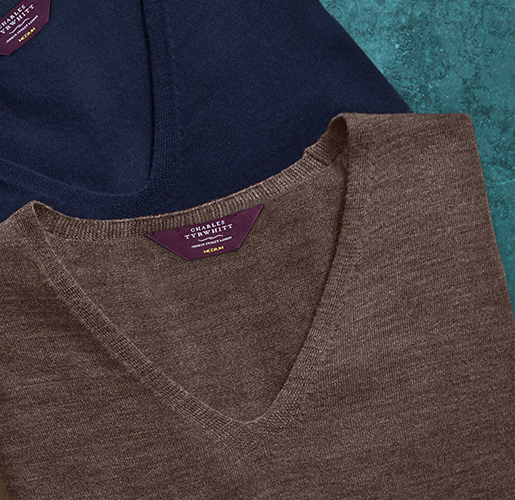 A knit with no side or sleeve seams, so fine and soft you barely know it’s on: this seamless jumper is the perfect way to finish a smart casual look when you don’t want a jacket. It’s made from 100% Merino wool, which is even temperature-regulating; perfect for when you’re not weather-sure. The height of luxury these days lies in looks that are artfully underdressed. 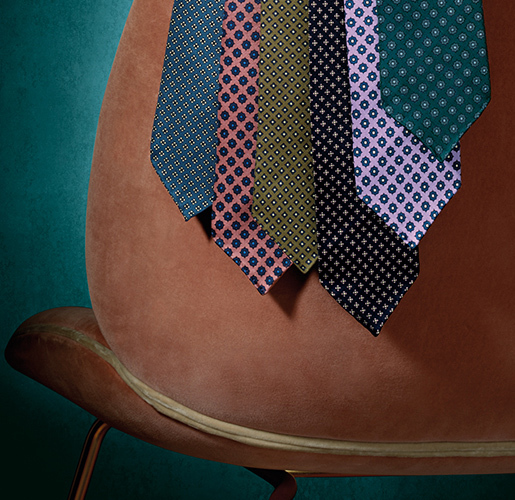 With this in mind, we created this new range of stunning patterned silk ties, traditionally screen-printed for colour richness and finished with hand-rolled edges for a marvellous drape. Biella is Italy’s well-known wool-producing region; a place of craftsmanship and tradition. That’s where we found this wool, mohair, and silk-blend fabric, woven by Angelico, a mill with 65 years of experience, and used it to build this smooth-to-the-touch silk mohair jacket. With an unstructured look, it was designed and crafted to mark a new era in your style timeline.